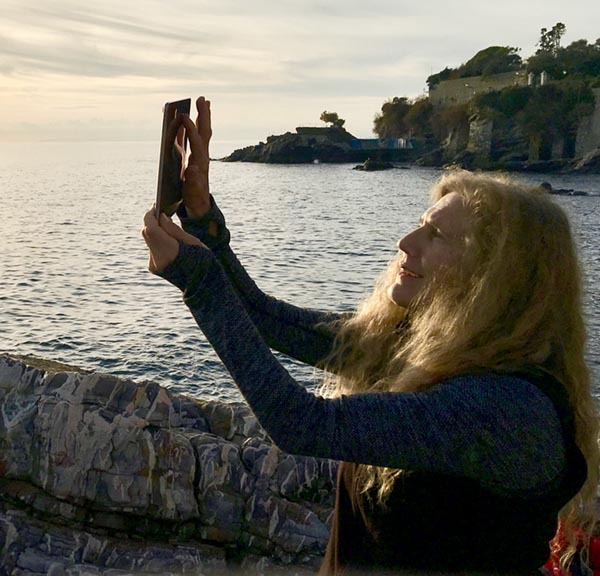 Kim Epifano is a Bay Area choreographer who was awarded a five-week residency through a Bogliasco Foundation Fellowship in Genoa, Italy last Nov/Dec 2018. 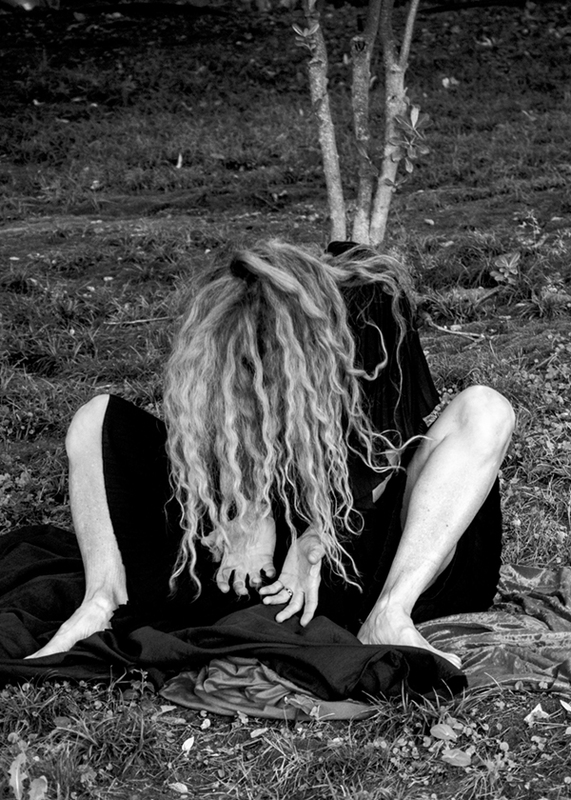 Her residency focused on developing an evening-length site-specific work, Rock e Malta, which investigates her Italian family’s immigrant experience, the personal histories of her collaborators, religion’s ability to create walls, and the ruin/re-birth that comes from the collision of the old and new. 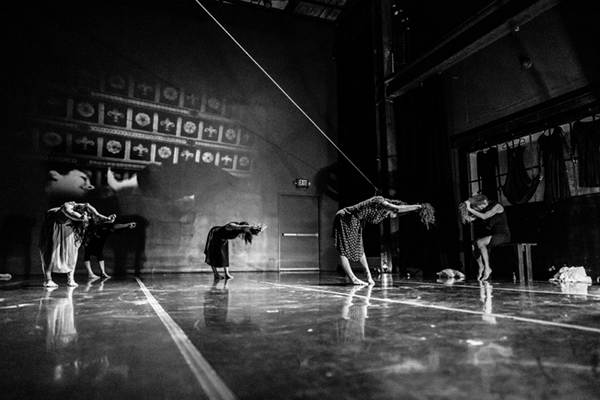 This article seeks to document the artistic process before, during and after the residency in order to understand and share the nonlinear way a choreographic/theater/music work develops. I’m working on a piece called Rock e Malta that explores the personal story of my grandparents and father coming over from Italy. I’m collaborating on the project with Shaghayegh Cyrous, an Iranian video installation artist in exile in the US. As I drive through Italy to the Bogliasco residence, I will gather images and sounds for the video. One example of images I am collecting are of olive groves — after researching how the Palestinian olive groves are being burned down as a political act, we’re addressing world politics from the personal. I’ll be on the ocean, so I’m interested in capturing the currents, sounds and movements of the water on video. We’ve also started to explore the role of religion and how it affects family histories. We’re asking: What’s underneath the church steps? There are often pagan churches underneath Christian churches, so I’m documenting the churches in Italy. Basically, I’m just making a huge visual and auditory library of information. 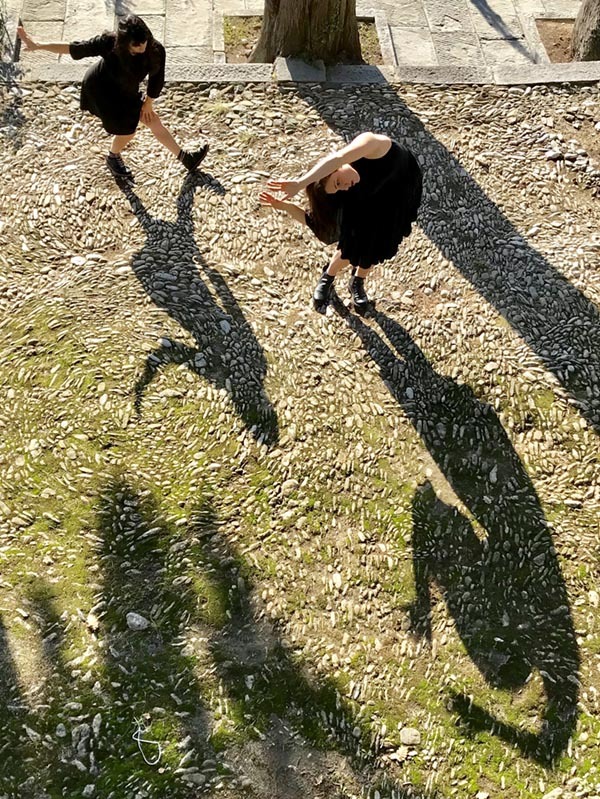 The project will culminate in a site-specific piece that takes the audience on a walking journey through the theater at Z-Space in San Francisco in December 2019. One section, “Under the Church Steps,” will take place under the bleachers; another will take place from the balcony and use aerialists on the wall who will interact with people on the ground, which will bring the depth of the wall forward and how much information is layered in any given wall around the world; “Revolution in a Kitchen,” will include olive oil and wine, and stems from Shaghayegh’s experience in Iran where, right now, there’s not a lot of freedom for women so they secretly plan things in the kitchen. There’s also a deep sense of grieving in the Italian culture when someone passes away. Women wear black for a long time, so I’m interested in the black dress and how it shows up in different cultures. While I’m at the residency, I’ll be asking how the materials I collect translate into my body. Something I’m specifically exploring is the phrase, “I can’t stand it anymore,” how sometimes we feel helpless to change things. There is so much going on in the world concerning females and our voices, like in the section “Revolution in a Kitchen.” How does that come out? In anger? In defiance? I’m driving from those considerations. I had a tech residency at Z-Space last summer where some choreographic themes already came up. 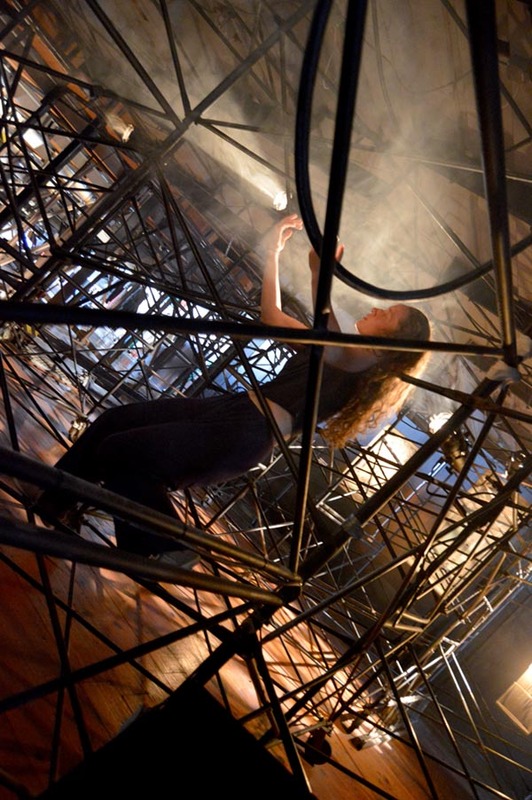 Under the bleachers, for example, I was playing with using apparatus as an approach to choreography. One dancer could fit all the way under the bottom step, which gave the illusion of her being trapped in there, creating an emotional overtone. I had lots of white fabric left over from a previous piece, so I layered it over the chairs and created a mountain out of it, then Shaghayegh projected onto it. Dragging the fabric created changes in the video, making the projection environmental. These are just some of the themes and images I’ll be working with during the residency. Two dancers from Florence and one from Berlin are going to come work with me while I’m there. I’m also trying to get myself to write, paint and make music every day. I don’t typically lead directly from choreography. I lead from a combination of sound, movement, light, text, song, props, painting and even costumes. I’ll be working on the piece from all these different angles to ask: How do I use my personal story to look at the larger world of art and politics? I’m about halfway through the residency at Bogliasco; The residency is in a stunningly beautiful location on the Italian Riviera. I had no idea how drenched in nature I would be, even though I’m only 20 minutes from Genoa. I look out the window and see water and beautiful rocks. It’s very enticing to always be outside. I have a dance studio to myself. I’ve set up a place to paint and do drawings, as well as a station to work on music. When I got here, they weren’t expecting that of me, but I like to work from different sources beyond movement. There’s this wonderful old tennis court across the road and up the hill in Bogliasco covered in moss and Astroturf, and I’m drawn to dance there almost every day. I just feel freer there than in the studio – I run, improvise, and do Capoeira. Making choreography in that space comes easily. It’s so rare to not feel under pressure to create something specific. It makes me ask: What am I supposed to be doing here? It’s not about the endgame or what I produce. I’m trying not to edit myself during my research. The other international fellows at Bogliasco are really interesting, and it’s fun to hear their ideas and reactions. We feed each other from where we each come from. The residency is surprisingly regimented in some ways – we have three meals a day together, often a cocktail hour, and it’s formal so you’re supposed to dress up. My hours aren’t so regular when I’m back in San Francisco; often I’m a night owl. Being here, I feel like my slate is being wiped clean. I have all the ideas I came in with, and I’m still driving from them, but I’m also trying to let new ideas come to me organically. There’s been a lot of sadness that’s come up – the grief of my ancestors. There’s a real darkness to the struggle that went on when so many people left Italy because there was nothing to eat. I’ve been to many graveyards in the area. One graveyard in Milan, The Monumental Cemetery, was incredible! I was very moved by the statues and their gestures. That got me creating some gestural choreography. I start most days by walking along the water and getting a cappuccino. I’ve been writing a lot about what I’m seeing or feeling. I started to create some movement based on the idea of the Italian theater. I’ve been dressing myself in big costumes – red and stripes and masks, and just sourcing from that eccentric image. I’ve also been recording/filming the ocean and tons of rocks being pulled back by the waves – the rough seas coming in, the patterns of the waves—it’s so dramatic. Some dancers are coming next week to work with me. I’m so used to a work process wherein I share an assignment with other people, and what they generate keeps me going. As far as movement, I like to generate from the people I work with. It excites me. 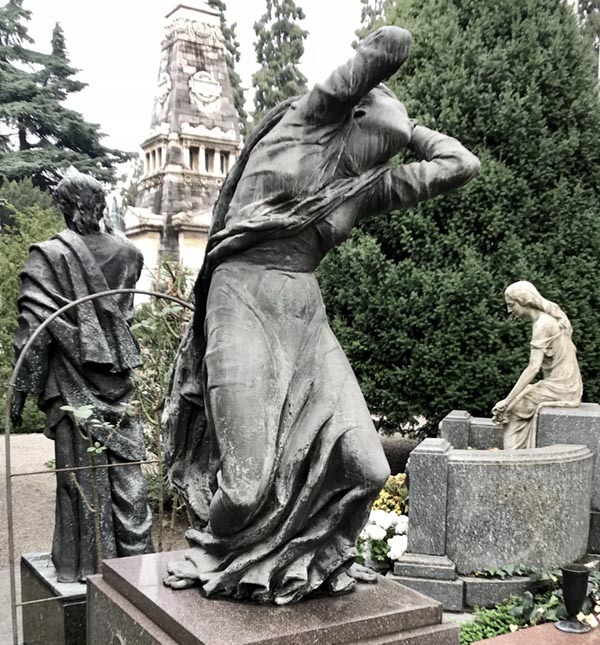 This whole gestural dance I want to make from the cemetery statues, when I worked on it by myself, I kept forgetting what I was doing, so I just kept videoing myself! It takes me longer to keep the information in my body now that I’m 61. I’m looking forward to having collaborators in the room, but it’s going to change the luxurious pace I’ve enjoyed since I got here. I just presented a work-in-progress of Rock E Malta last weekend at FRESH Festival in San Francisco—a 21-minute showing in a shared bill with three other artists. I performed with an intergenerational and intercultural group of four other women: Allegra Bautista, Christine Bonansea, Natalie Greene and Cookie Harrist, along with Shaghayegh. What I found most satisfying was that much of the footage I collected in Italy was made into a beautiful collage/story by Shaghayegh. I didn’t realize how influential the video would become in creating a sense of time and place—the images are powerful, simple and strong. I also made a bunch of music on GarageBand during the residency, and I ended up using two of the pieces of music I made. Some of the materials conjured were more potent than I had realized. I simplified the theme for this performance. Not having Z-Space to work in while rehearsing, I had to focus on the material itself. I started with asking people about their grandmothers and their religious experiences. It really became more about women, their strength and voice. A theme that came up was: When do women take the sword? I had old paintings that I found in Italy of women being defiant or even using a weapon. These came from me looking up some of the statues from the graveyard in Milan. There was still a sense of the “Revolution in the Kitchen” theme, but laundry became important, something women have done for centuries. We hung a clothesline that we could manipulate and move, add to or take things off of, and projected the video on it. The sheet became a metaphor in the revealing of the stories. It also created different images like huge wings on one of the performers. Christine Bonansea, an international performer, joined me for part of the residency in Italy, and was also able to perform in the FRESH performances. I plugged her into what we had put together. Her story was from her French grandmother; we dressed her in black dresses while she was telling her story in French. Natalie translated little bits into English, and then Christine went into a dance of her grandmother. At that point in the video, there were birds flying inside Milan’s La Scala Theater. It created a haunting, beautiful dramatism. In dance, we’re often trying to get so abstract and innovative, an intensely intimate story can be refreshing. In the piece, each character sometimes stayed in their own world. In a scene, there might be someone in the corner in a chair, or someone slowly falling, or someone rolled up on the floor next to a light. People responded to the otherworldly theatrics in the work. Some said it was like watching a dream. 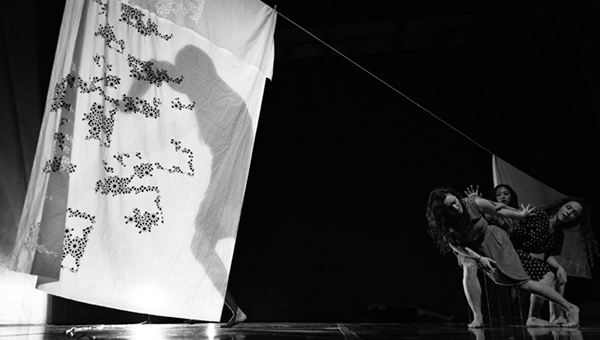 In a section called “Sirens” where three women tone in harmony live, we used a tablecloth on the clothesline and cast a light from behind it, creating shadow play. It brought about the layers of the past and a sense of ghosts. I wasn’t in the piece as much as I had thought. It’s always a challenge to be in a work I’m directing. I ask myself: What is the significance of me here now? Why do I need to be in it? 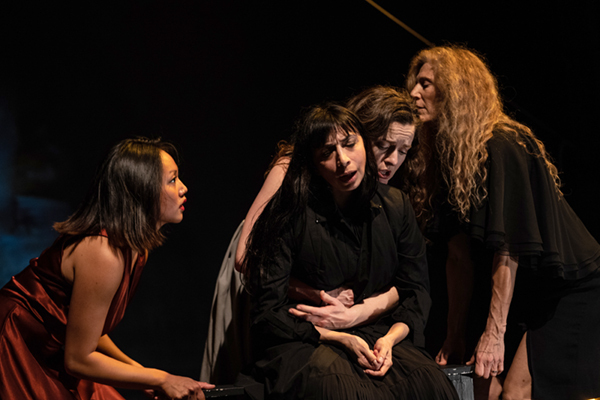 In the end, it’s because the piece was generated from my family’s connection to the village, as well as representing women of all ages and voices that my physical/vocal presence was an important layer, especially from the intergenerational aspect. I allowed myself to inform what was live onstage improvisationally by layering myself in it to add another dimension. With the premiere of Rock e Malta in December 2019, I am turning my focus to what needs to happen next. I need to finalize the group of performers and go back to Z Space with the ideas from the residency and FRESH Festival and see what fits there. The final piece will be site-specific, but I might still use the stage at times. Perhaps passing through Z Space will be like walking through a village, and then the audience sits down and digests a larger section in certain places, perhaps onstage. Or will I divide the piece more evenly throughout the space? I don’t know yet; I have a big assignment ahead of me to put all the puzzle pieces together! It’s inspiring and challenging but makes me realize how all the research was so important and is leading me down the road the work is demanding to take! To learn more, visit epiphanydance.org.